Yes, I know that you've seen a million images from the latest Met gala........including a lot of half naked badly dressed celebs. 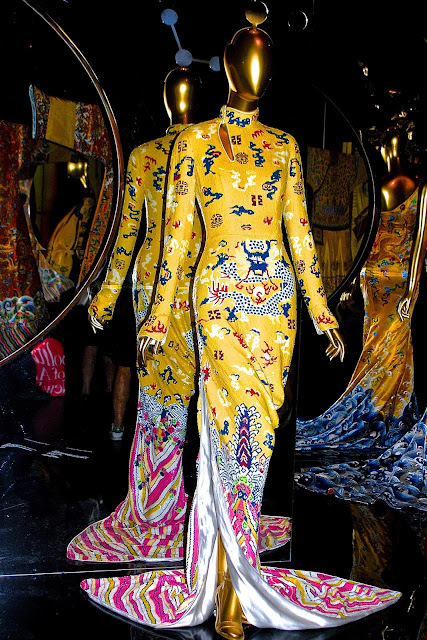 But here's the thing, The Costume Institute's "China Through The LookingGlass" is a must see exhibition. I was in awe of the fashions both authentic Chinese and Western inspired. Fashion Didn't Stop at the Great Wall! In addition, the magnificent displays, film clips and background music combined to make this a must see and my favorite all time exhibit. Here's a tip: skip the gift shop offerings and head to Pearl RiverMart in Soho for the real deal at better prices. The exhibition runs through August 16, 2015.